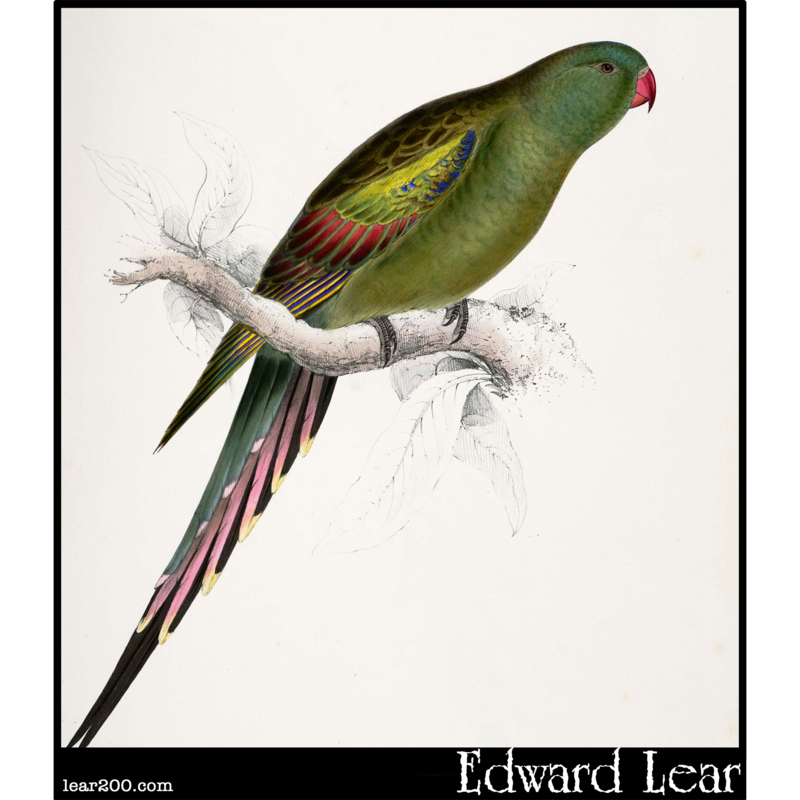 Blossom-Feathered Parakeet | Edward Lear: Two Hundred Years of Nonsense! A plate from Edward Lear's "Illustrations of the Family of Psittacidae, or Parrots", published in 1832. This is Palaeornis anthopeplus, the Blossom-Feathered Parakeet.